In fashion this week, let's talk Nautical. A nautical look can be as easy to pull off as wearing navy and white. 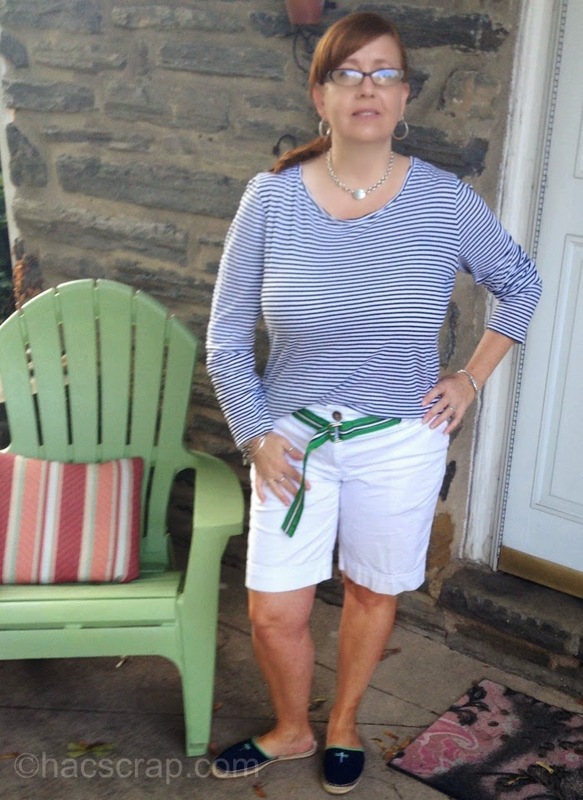 A simple navy t-shirt and white shorts, paired with some fun nautical-inspired accessories (slender rope bracelet?) goes a long way. To me, a striped t-shirt is the quintessential nautical look piece. No matter the sleeve length, one looks great paired with white jeans, white shorts or even regular denim. There are lots of cute accessories to complete your outfit too. Alex and Ani has some great bracelets, and I've seen tons of anchor scarves and necklaces this season. Add a straw boater and/or tote and you're ready to hit the open water. Easy hair and minimal make-up complete your ready to sail look! 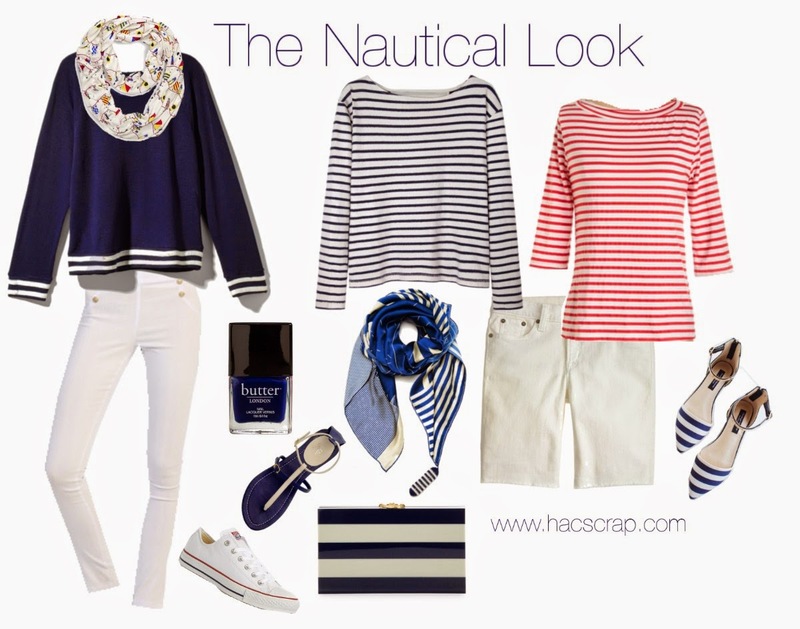 Are you a fan of the nautical look? How do you wear it? They look great in both tops! I like both looks, but I am a sucker for red. 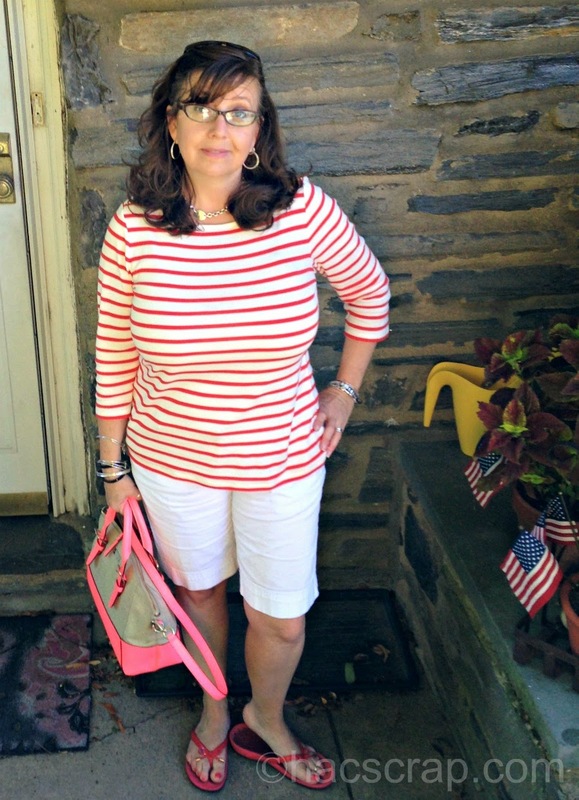 I love this red and white striped top, you can do alot with it. Looks lovely with your white shorts!